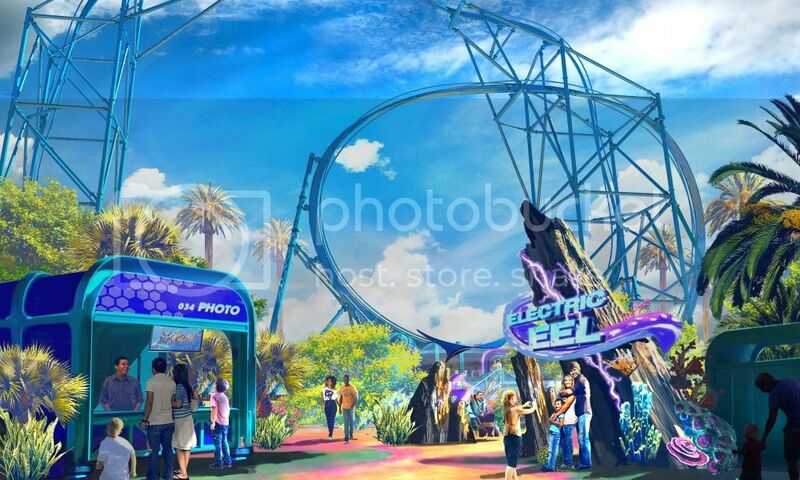 Seaworld has announced that San Diego's Seaworld will be getting a new rollercoaster called Electric Eel. It will be Premier Rides, 7th Sky Rocket II coaster model. The Seaworld' company which owns and operates Busch Gardens Williamsburg installed one for the 2015 season. 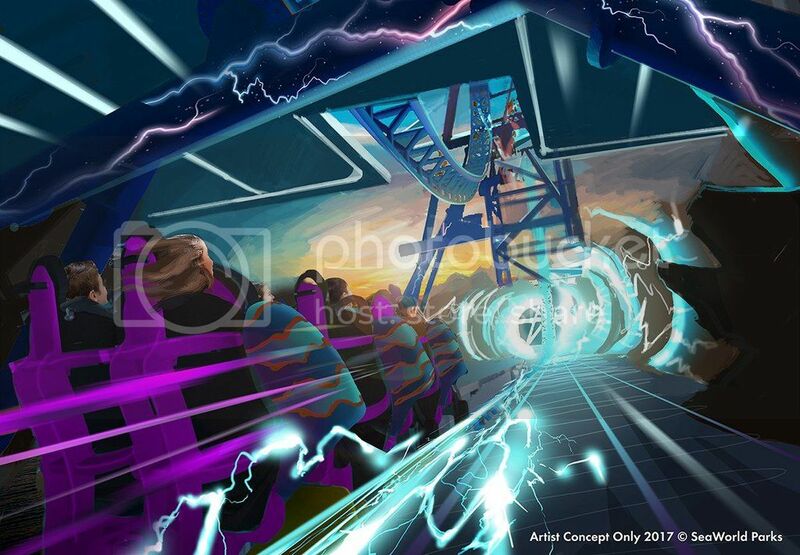 These are neat little coasters, and Seaworld's concept art team have done a good job at the concept art for Electric Eel. So long as it has the themeing which is shown in the concept art, I'm quite confident that this would be a good solid investment for Seaworld San Diego, I like the name as well and think it does suit this kind of coaster. This looks interesting, I just hope the rumours floating around that it will open with VR are not true.